Where are the dirtiest places in your home? When was the last time you cleaned them? We all have busy schedules, but it’s important to take time to clean the things that might not seem so obvious. 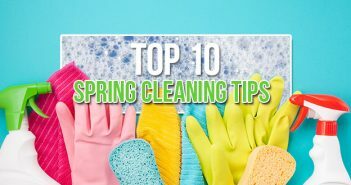 So we’re here to remind you what trouble spots you should clean and how to clean them. First and foremost, the cleaning equipment can be extremely problematic because sponges and rags can hold a lot of moisture. We use sponges and rags for a variety of tasks which means their picking up a lot of germs. It’s smart to replace sponges and rages when they begin to smell. Tip: You can run sponges through the dishwasher or microwave to kill germs. When you’re cooking raw meat think about where you touch before you wash your hands. The last place is usually the sink, right? The sink is full of bacteria and it’s important to kill as much of it as possible. Tip: Begin washing the sink with baking soda then soak it with white vinegar. Add a couple of tablespoons of vinegar to warm water or you can also place vinegar-saturated paper towels in the sink for 15 minutes. Check out this DIY project for a Garbage Disposal Refresher. How often do you wipe down refrigerator handles, light switches and door knobs? In your household think about how many hands are touching those spots. Tip: At least once a week, get a disinfecting wipe and give those spots a good scrubbing. It may be obvious to clean the toilet bowl and seat, but what about the base? Most of the time the germs are sliding around on the rim, base, and the floor. Tip: Any all-purpose spray should do the trick. Once you’re done washing the toilet base, it’s time to clean the walls. When you flush with the toilet lid open, nearby surfaces will get contaminated. Tip: Hydrogen peroxide or an all-purpose spray is an easy solution. Don’t forget to switch rags before you wash the walls! The remote control is probably touched as much as a light switch. That means there’s a lot of germs on it! Tip: Use a cotton swab dampened with rubbing alcohol to clean those small buttons. It’s important for a cutting board to be clean since you are placing food directly on it. Tip: Soap can wear down wooden boards. Vinegar, however, will gently disinfect it. 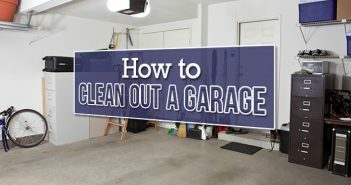 You can also use baking soda paste and salt for a deep clean. This one may seem obvious, but a lot of people don’t clean it! Tip: Use hot soapy water with a sponge to clean the interior. For crusty food residue, place a bowl of water in the microwave and run it for a few minutes. The steam will soften the dry food residue making it easier to clean.